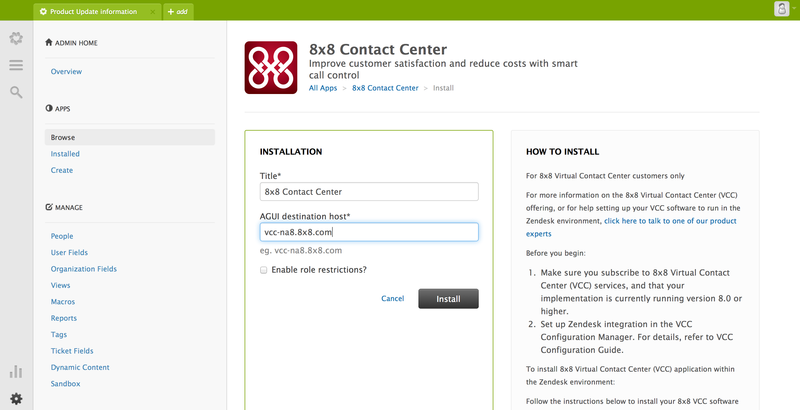 Installing 8x8 Contact Center app is simple and quick. Log in to your Zendesk administrator account. Select 8x8 Contact Center app. Click the app icon to bring up the Virtual Contact Center – Agent Console.